Below is a list of Weight Loss Surgeries performed by Dr. Merriman in Shreveport, Louisiana. Dr. Merriman serves clients in the geographical region from Longview, Texas east to Monroe, Louisiana. And also from southern Arkansas, including Texarkana, Arkansas and south to Alexandria, Louisiana. 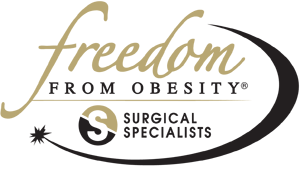 Freedom from Obesity will be pleased to work you and assess your need for weight loss surgery.